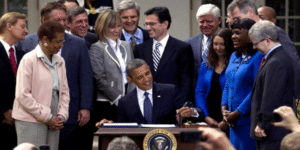 Title III of the JOBS Act of 2012, commonly known as Reg CF, turns two today. The law got a Rose Garden ceremony and “game changer” status from then President Obama. Six years hence, however, that lofty forecast has crashed. The game is changing for small businesses trying to capitalize through equity crowdfunding but our stifling administrative state—here the Securities and Exchange Commission—has glacially slowed the pace. 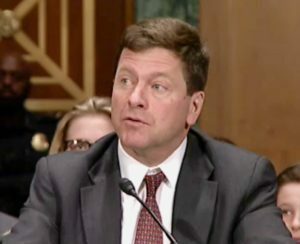 From the outset the SEC’s view of [equity crowdfunding] was they were not for this they and made it, shall I say, needlessly complicated and did not approach it except as this this was something where the public is going to get harmed and we need to narrow it as much as possible. Reg CF languished for four years in regulatory purgatory while the “hand wringing” Commission delayed and deferred. Despite this hostility, equity crowdfunding is slowly blooming and with some SEC fixes, it can be the catalyst once imagined. According to the Small Business Administration, Year One saw 326 businesses do an equity crowdfund. These raises totaled more than $30 million in capital. By this January, that number had had surpassed $100M with the average successful raise hitting $289K and the median $170K. But overall the numbers are fraction of what they should be. In the interest of protecting the little-guy investor, the SEC has stolen millions of dollars in capital from small and medium-size businesses that fuel the economy, while simultaneously denying wealth opportunities to untold smaller investors. Treasury Department: “However, in conversations with Treasury staff, market participants have expressed concerns about the cost and complexity of using crowdfunding compared to private placement offerings. Participants cited regulatory constraints, such as disclosure requirements and issuance costs, as well as structural factors, such as the challenges associated with having a large number of investors, as potentially limiting the use of this capital raising method. Let’s fix Reg CF Chairman Clayton, here’s are some ways to do it. Solicitation Rules: Although often overlooked, the solicitation rules may be the worst. Reg CF issuers can’t discuss the “terms” of the issue—the amount of securities being offered, the nature of the securities, the price, and the closing date of the offering period—unless through a portal. The SEC claims it wants to drive internet traffic to the portals but the effect an absurd burden on issuers. The issuer must decline to discuss the offering’s basic facts unless confined to the portal. Some lawyers discourage talking about the raise at all if not on the portal. This makes no sense. Investors must purchase the securities through the portal, which exposes them to all germane information including risks. Moreover, rules disallowing pre-launch publicity impede awareness of offers and ignore an avalanche of data on what’s needed to make them successful: web exposure and social media. Both these rules may be vulnerable to a constitutional challenge. Accounting: Another under-reported problem with Reg CF are pre-sale accounting demands, up to a full GAAP audit. This burdens small businesses already taking a risk with extra costs. Small businesses don’t have compliance divisions to handle the mass of laws and regulations thrown at them and most retail investors will never review it anyway. The SEC is stuck in the 20th century. The world is passing it by at ever-faster revolutions. Its well-meaning concern for investors stifles innovation and harms the very people it’s trying to shield while weakening our competitiveness against countries with advanced alternative capital-raising schemes. 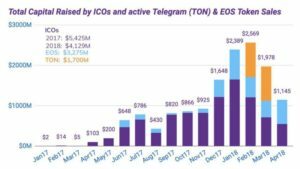 When Chairman Clayton launched his jihad against ICOs in January, capital raises fell drastically while limiting exciting deals to accredited investors. Of course some ICOs are scams, and the SEC should prosecute fraudsters. But lots are just trying to follow rules the SEC refuses to clarify. Now many ICOs are launching elsewhere to avoid a subpoena. Some of Mr. Clayton’s colleagues understand this. The best path forward is for regulators to approach ICOs and tokens with intense curiosity. We must put in the effort to learn about these new technologies and employ the staff necessary to support our understanding. It is unfortunate that, to date, most of the communications from the SEC on the topic have come from our Division of Enforcement . . . we must be careful not to let our lack of familiarity with new technology breed anxiety and therefore bad regulation. There is a risk, when something truly innovative comes along, that regulators will focus only on the harms the innovation may bring and miss entirely the opportunity it presents to improve people’s lives. Equity crowdfunding has the potential to revolutionize capital formation. It can bring wealth and prosperity to businesses and even whole communities that languish under the current staid system. But it will only work when the SEC lightens the rules and lets the law work as intended.